Who is Adrian Hein? You have probably seen him many times before, but would never know it. He fought in 300: Rise of an Empire, doubled for Captain America, and even “Bagheera” in Disney’s Jungle Book. With over 50 film credits under his belt, Hein is one of Hollywood’s top stunt professionals. On any given day, Hein may receive a phone call, and is on a plane from the Kona airport to shoot on some of the largest productions in the world. Recently he was called to set for the next Jack Reacher film where he went face to face with Tom Cruise in a gun battle. Adrian Hein is a badass when it comes to the stunt world, and now he is playing a key part in the changing film landscape of Hawaii Island. Hein lives with his family in a quiet neighborhood deep in the heart of Hawaii Island’s famed “Kona Coffee Belt.” Every day he commutes along the winding Mamalahoa Highway and down into the Kaloko Industrial Area just below Costco. At the farthest corner in an unassuming warehouse lies Honua Studios and Dakine Action Design Studio. Dakine is currently finishing up final construction and artwork. When it is completed, this will be a truly unique, one-of-a-kind facility. “This is the next step in my professional career,” says Hein. The “Action Design Studio” is a fairly new concept. It is a gym that is designed specifically for training talent/cast and rehearsing stunts for film and TV production. You will only find a couple of these facilities in L.A. and they do not yet exist in Vancouver. Traditionally, a production will have to rent out an empty warehouse and ship in equipment. Hein’s facility eliminates the logistics and finances needed for such an endeavor, creating an incentive for productions. This is especially appealing to smaller budget productions. Hein is filling the gym with brand new state-of-the-art equipment. In addition to the trusses and wires that create movie magic, Hein’s inventory includes world class mats and pads, brand new weight equipment, a dance floor for fitness and dance, a world class Max Air trampoline, a massive air bag for free falls and much more. Dakine is taking the Action Design Studio concept one step further by adding an aesthetic approach. According to Hein, this is where “Action meets Art,” a concept that is birthed from the four values of Dakine: Inspire, Equip, Create and Reflect. “Beauty inspires,” says Hein. The four walls of Dakine feature a fully immersive mural by world class artist and Hawaii Island resident, Randy Dahl. When you step into the studio, you are immediately transported to the tropical backdrop of Waimanu Valley with waves crashing against the rocks around you. Dakine Action Design Studio is a stunning facility that lends itself to a multitude of purposes beyond training for stunts and movies. Many of its features will be available to the community. It will feature the only indoor climbing wall on the island, space for parkour and free running, acrobatics and tricking, mixed martial arts (MMA), and even Ninja Warrior training. Climbers, dancers, gymnasts, ninja warriors, and those just looking to stay in shape will all have a place at the Dakine facility. Whether patrons are looking for basic personal training, or to practice free-falls into an airbag, Dakine has everything to facilitate both traditional and extreme workouts. Hein’s real excitement comes from a parallel vision, Hawaii Action Academy, a program to train talent for the film industry. Randy Dahl (left) and Adrian Hein (right) discuss reference art for the mural. Ultimately this is something that will deeply impact both the community and the industry in the long-term. “This is about raising up the next generation. Teaching set etiquette through ‘on-set like’ experience while we are training and building a roster of talent,” says Hein. When agencies call looking for somebody, Hein hopes to put his proteges to work in the film industry. Hein’s goal is to take the inspiration that comes from the environment and equip talent by training them with the skills necessary to be successful in their craft. Hein is quick to point out that knowing martial arts or how to fall is only part of being a stunt person: “You need to know how to interact with the camera.” Dakine will give students access to cameras and large TV screens so they can immediately review how their work is portrayed on screen. Reflection is a significant part of Hein’s curriculum. He wants people to rest and take time to review their work in order to better hone their skills. Dakine Action Design Studio is a resident company of Honua Studios, a coalition of content creators, state-of-the-art facilities and cutting edge technology. Honua Studios is also the home of the GVS Accelerator Program, a public-private initiative between GVS, the Hawaii Strategic Development Corporation, the County of Hawaii and the GTA Development Fund that empowers Hawaii-based creative entrepreneurs to launch original entertainment franchises for wide commercial audiences. 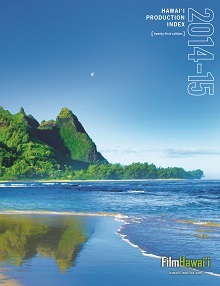 Hein is a part of a larger vision to enhance the resources available to productions on Hawaii Island. Here you will find 11 of the 13 climate zones, the real estate is less expensive than Oahu, and the 25-percent neighbor island tax credit is available for above-the-line, post production, and VFX. Last year, Hawaii Island connected to private fiber through GVS Connect, providing ultrafast connectivity for productions utilizing SOHO Net’s vast studio network. Hein plans on utilizing this connectivity to provide live high definition auditions for studios off island using talent he has trained in his gym. Dakine Action Design Studio is a world class facility that is on the cutting edge of the industry. Studios and productions from around the world will be hard pressed to find an equivalent elsewhere. 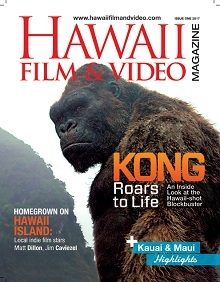 As the film industry expands beyond Los Angeles and into places like Atlanta and New Zealand, Hawaii Island is being positioned to be the next destination film hub. Adrian Hein is a pioneer and a significant part of the first wave of professionals and facilities making their way toward and putting a flag in the ground on Hawaii Island. The Dakine facility is currently finishing construction and plans to open in 2016. Visit www.dakineactiondesign.com for more.